The high quality level of the work done by the European Medicines Agency (EMA) has been confirmed once more by the ISO Excellence Award received by five members of its staff for their achievements in the development of the international standards for the identification of medicinal products (IDMP). Paolo Alcini, Sabine Brosch, Tim Buxton, Panagiotis Telonis and Ilaria Del Seppia have been awarded during the International Organisation for Standardisation (ISO) plenary meeting on 22 October 2018 held in Paestum, Italy. The ISO Excellence Award has been created to recognise the contribution of individuals for recent achievements related to ISO’s technical work considered as a major contribution to furthering the interests of standardisation and related activities. The five members of EMA’s team awarded have been supported in their activities by other EMA staff and experts from across the EU. IDMP standards are the result of a global collaborative effort led by ISO and involving medical experts from 32 participating and 27 observing countries. Sharing of information about the regulatory processes involving medicinal products – from research to launch and post-marketing surveillance – is today a routine activity that requires all the stakeholders make use of a common language to facilitate the interoperability of data. This is the task of the international standards for the identification of medicinal products (IDMP), providing regulators, global sources of data and the pharmaceutical industry with a common base for the unambiguous identification of medicines along their entire life cycle. IDMP standards (see here the dedicated page of the EMA website) have been developed to overcome the still fragmented regulatory scenario pharmaceutical companies have to face to obtain approval of their products in the different geographical areas, where different regulatory processes and operating models are in place. A further level of complexity is represented by the many different languages that can be used in different countries, leading to a complex mix of terminologies and data models, as well as different technical standards for information exchange. The IDMP project provides standardised definitions for the identification and description of medicinal products, so to achieve the consistent exchange of information across all interested parties. Four different domains of master data have been identified to implement IDMP standards in pharmaceutical regulatory processes: Substance, Product, Organisation and Referential master data, making all together the SPOR system. The use of IDMP standards is compulsory in the European Union according to Commission Implementing Regulation (EU) No 520/2012 (articles 25 and 26). The five available ISO IDMP standards describes more specifically the substances used to manufacture the medicinal product (ISO 11238), the pharmaceutical dose forms, units of presentation, routes of administration and packaging (ISO 11239), the units of measurement (ISO 11240), the regulated pharmaceutical product information (ISO 11616) and the regulated medicinal product information (ISO 11615). All together, they provide the full description of the final product, including its name, marketing authorisation, clinical particulars and manufacturing. 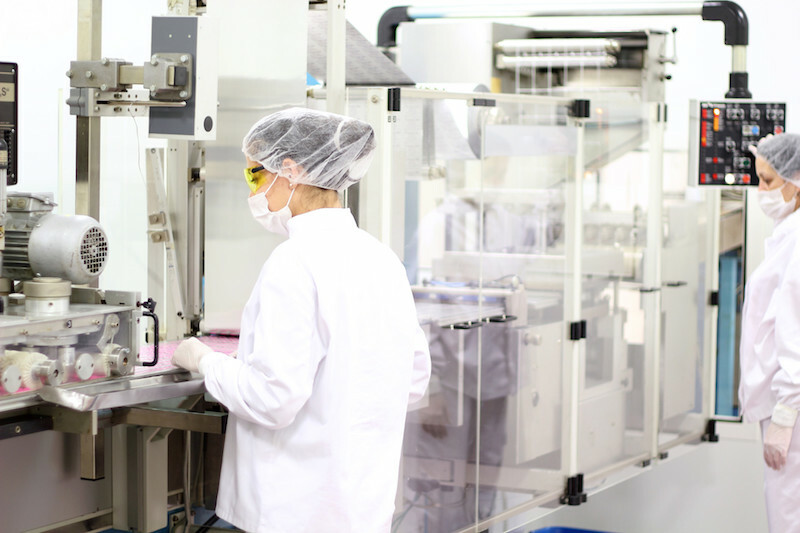 ISO IDMP standards apply to all medicines for human use, including products under development, investigational products, products under evaluation and authorised products. The implementation of the common standards by the European Medicines Agency follows the phased implementation of the SPOR programme. The submission and maintenance of data on authorised human medicines is already mandatory since July 2012. Marketing-authorisation holders are up to now required to submit information on authorised medicines to EMA through the previous Extended EudraVigilance Product Report Message (XEVPRM) schema and using the specific XEVMPD Dictionary (see here the dedicated page of EMA’s website). The common dictionary facilitates the reporting of adverse events, allows sharing and re-use of data for different regulatory submissions and among various regulators (subject to confidentiality restrictions) and improves the assessment and scientific evaluation of medicines during clinical experimentation. Application of IDMP standards to good manufacturing practice and inspections of manufacturing sites also facilitates the management of urgent situations involving defects and allows for a faster detection of falsified medicines. EMA is implementing the ISO IDMP standards in phases through its SPOR programme, that applies to both human and veterinary medicines. Referentials Management Service (RMS) – lists of terms (controlled vocabularies) to describe attributes of products, e.g. lists of dosage forms, units of measurement and routes of administration. The first two services launched by EMA in June 2017 have been the Referentials Management Service and the Organisations Management Service. They can be already used for submitting applications to EMA and national competent authorities for initial marketing authorisations, variations and renewals for human and veterinary medicines. Once inserted in the system provided by EMA, the master data can be reused many times for regulatory purposes other than the original one. The other two services – the Substance Management Service (SMS) and the Product Management Service (PMS) – are stil waiting for final implementation. Once they will be in place, the current data-submission format XEVPRM will be replaced with the new ISO IDMP compatible format. The exchange of information will be based on the Fast Healthcare Interoperability Resources (FHIR, pronounced “fire”), as established in January 2018 by the EU Telematics Enterprise Architecture Board (EU TEAB). According to EMA website, the Agency and the US Food and Drug Administration will work together with Health Level Seven (HL7) to incorporate the ISO IDMP standards into the FHIR specification. This will allow SPOR to become compatible with HL7 standards while retaining flexibility in defining a new data model for ISO IDMP-based data. The last update from EMA on the progress made and next steps in the implementation of the SMS and the PMS is of July 2018.